This design from CYD 4710 for Lorenzato’s family build from Cantiere Alto Adriatico. It’s very innovative in the layout and is the first of a series with this type for the same yard, with two separate cabins: one forward and one aft, with the dinette and living in the middle of the boat. 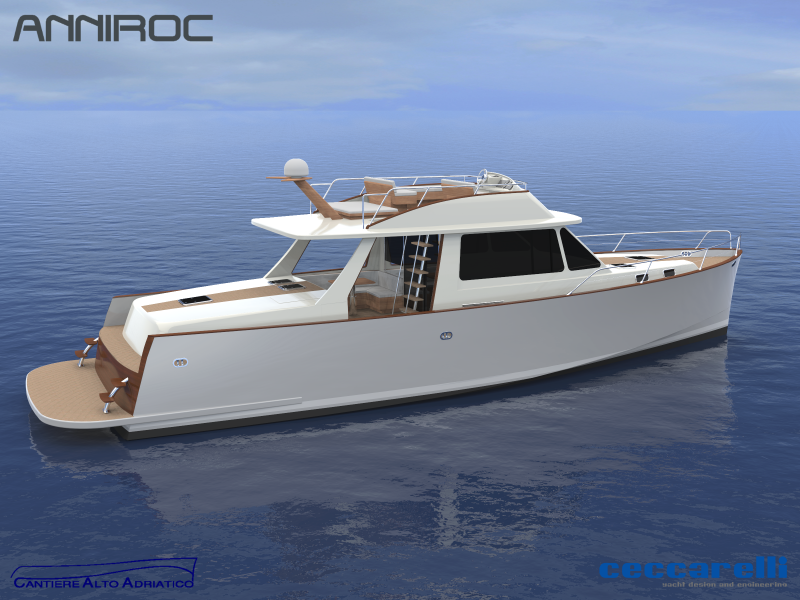 The boat will be used for long cruising in Mediterranean with Venice as home port. The hull shape as been optimized with extensive research with CFD. Top speed will be about 21 knots with two engines of 300 HP.